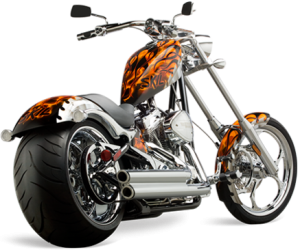 SKIL has a contest for the pros and the winner will receive a custom SKIL Chopper built by Big Dog Motorcycles. SKIL wants to hear how you have used your worm drive SKILSAW to over come the obstacles you have faced while building your projects either on the jobsite or even at home. The grand prize is a custom SKILSAW Big Dog K-9 Chopper awarded at Lowe's Motor Speedway on Oct. 2009, at the Bank of America 500 NASCAR Race. Even if you dont win the grand prize, dont feel bad. 10 first place winners will each get a SHD77M Worm Drive SKILSAW and 25 second place winners will each get a $50 Visa gift card. Be sure to include photos, and a lot of detail on your project to better your chances of winning. Good luck to everyone entering.